There are different ways to liven up a plain bedroom. You can add a fany lamp, buy new sheets, add a few pillows, or if you want something drastic, opt for a paint job. 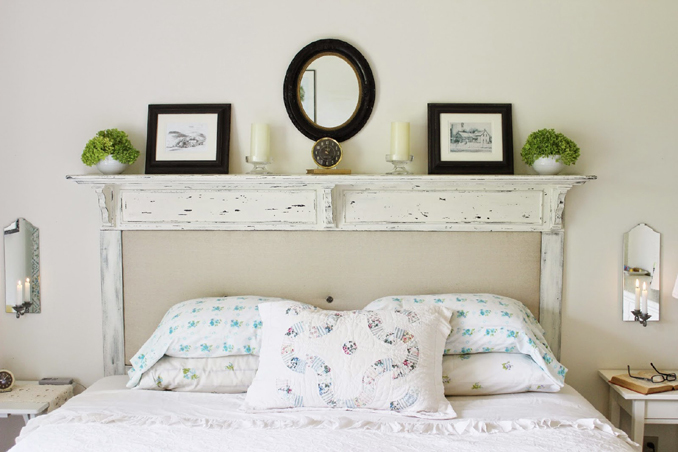 If you want to achieve a new look with minimal budget required, you can work on your headboard or if you don't have one, the wall above your bed. Main photo from: Happy at Home.